Vijayakrishnan was born in 1952 in Thiruvananthapuram, Kerala. He is a well-known film critic as well as a film director who also writes stories and movie reviews. Vijayakrishnan has received eight State Awards, one National Award, and two Critics Awards, among many others. Vijayakrishnan is a well known film historian in India. 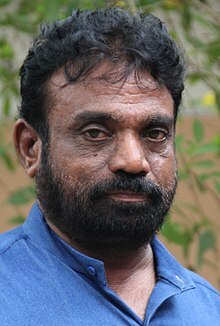 Vijayakrishnan was a member of the Kerala State Film Award Committee, National Award Committee and the Indian Panorama Selection Committee for Filmotsav 1986. At present, he is a member of the Indian Central Board for Film Certification, Bharatiya Vidya Bhavan, and former Director Board Member of Kerala State Film Development Corporation. He is also a member of Board of Studies in Thunchath Ezhuthachan Malayalam University. This page was last edited on 23 March 2019, at 12:10 (UTC).